Many thanks for considering HIP Video Promo to help you secure the much wanted exposure and attention on Spotify every independent artist and band desires. Anyone making music has doubtlessly tried to figure out how to get their music on a Spotify playlist, and while it’s not as simple as most would like, with the right song and a solid, sturdy foundation already in place, HIP Video Promo can increase the likelihood of earning coveted playlist spots and increased exposure on Spotify. For some context, Spotify is currently leading the streaming market with 60 million subscribers and over 100 million active users in over 60 territories. There are over 2 billion playlists on Spotify owned and operated by everyday users, brands, independent curators, official curators, and the millions of algorithm based playlists that reset weekly. Now more than ever, securing playlists on Spotify has become an integral component of any independent artist’s musical career. Your “audience” is gauged not only by your social media presence, but by your streams on Spotify. 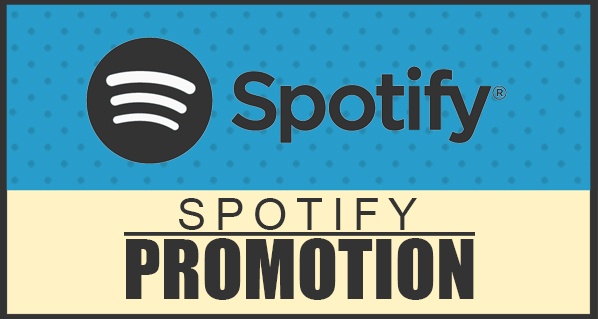 HIP Video Promo now proudly offers aggressive, custom targeted Spotify playlist marketing for singles, EPs and entire albums. We work closely with the client to provide an outstanding return on investment. How does it work? We have spent countless hours building relationships with top curated playlisters who already have 1000+ followers each and a built-in audience eager to hear new music. If we are confident your music meets the quality of those playlists and deserves the chance to secure placements there, the HIP Video Promo team will be ready to move forward with the campaign. With our persistent effort, you’ll potentially be added to many of these playlists and your streams will significantly increase, all while gaining new fans across the globe. You’ll then be able to share these playlists with your fans on social media, further building the trust and mutual admiration of these playlisters so that we can hopefully gain their support on each new release you put out. The user curated playlists we will secure you placements on will keep you on there for at least one month (30 days). It’s enough time to get your song an estimated 50,000 streams! Keep in mind that just because the playlists end your song after one month doesn’t mean your streams stop. The objective of the campaign is to not only get you on great playlists and secure your song more streams than prior, but it is to also get you to a point where the song gets on Spotify’s good side with their algorithm and puts you in recurrent rotation. For example, if they see the song is reacting they will potentially include it on their Discover Weekly playlists, which are private playlists curated for individuals on Spotify based on their personal tastes. It can lead to thousands of streams over the course of the upcoming years. The royalties continue to come in and can pay back costs for this campaign over time. Think of it as a both an immediate and long-term investment. The immediacy of the playlists will give you lots of bragging rights and a huge career boost, while the long-term streaming royalties will help you financially sustain your musical pursuits. Please don’t hesitate to be in touch of you have any questions about our Spotify marketing campaign. You can call 732-613-1779 to speak directly to the owner of HIP Video Promo Andy Gesner to learn more, or email us at info@hipvideopromo.com and we’ll respond in a timely fashion. We encourage our clients to sign a terms of agreement prior to the start of the campaign. Though it has always been our goal to secure the maximum amount of exposure possible for our client’s videos, we are merely presenting the video to viewers in a professional and compelling way, and in no way can we guarantee video views, likes, or comments.